So many musicians ventured into music as a result of the passion they have for the art, while others went in for the monetary gain, still, some others found themselves in the art because their bloodline is musically inclined. This is the case of James Blake, an English singer, songwriter, musician and record producer who has a legendary musician, James Litherland, as his father. Since becoming a musician, he has climbed and remained at the top as one of the best R&B musicians in London making so many to wonder why he is so good. Read through this writeup to know more about James: his bio and other facts about the illustrious musician. James Litherland Blake was born on September 26, 1988, in London Borough of Enfield to a legendary musician father, James Litherland, and graphics designer mother, Betty Blake. It is pertinent to state that James didn’t’ just take after his father’s name but also his father’s passion as a musician. He indicated interest in music from the early days of his life and was properly groomed to on how best to realize that dream. As education is believed to be the first step to greatness, James Blake enrolled in Grange Park Primary School for his foundation education and on completion he proceeded to Latymer School, Edmonton before schooling at Goldsmiths, the University of London, where he bagged a degree in popular music. James Blake didn’t wait till his graduation to kick start his music career; right there in school, he teamed up with some of his friends to host a series of “Bass Society” music that had some popular UK artists like; Distance, Skream, and Benga featuring in it. His first shot in the music industry came with his extended play (EP) Air & Lack Thereof, produced by 12” record and was released in July of 2009, the song would later come to appear in Hemlock label. Air & Lack Thereof was widely received and it paved way for his other productions that followed next. The following year, he released an Extended Play (EP) titled CMYK through R&S Records in May 2010. With the same record label, he released Klavierwerke in September of the same year. These Eps and other singles announced James Blakes’ arrival to the music scene properly. The songs recorded a huge success and got him nominated for the BBC’s Sound of 2011 which he eventually got placed at the second position behind The Vaccines, James Woon and Clare Maguire. His first studio album James Blake was produced under ATLAS label on February 4, 2011. Although the 11 track album leaked on the internet before the date of its release, it still recorded a huge success after the official release. James Blake was then followed up with two E.Ps Enough Thunder and Love What Happened Here which were all dropped the same year (2011). The E.Ps were more carefully and professionally produced when compared with his previous E.Ps. His 2nd studio album Overgrown hit the music scene on April 5, 2013. The album did not fall short of expectation as it was awarded the 2013 Mercury Prize Award. Overgrown was followed by The Colour in Anything, his third studio album which dropped on May 6, 2016, under Polydor Records. His fourth studio album titled Assume Form was announced to be released on January 18, 2019, under Polydor Records. 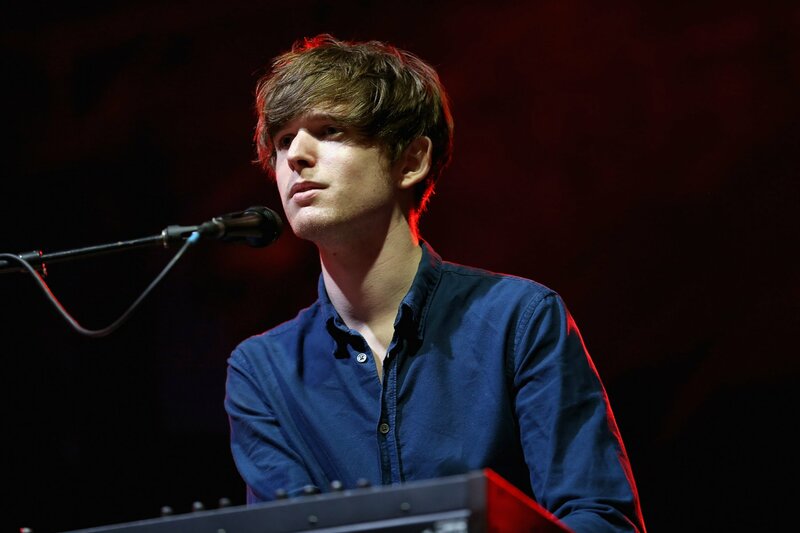 The London born musician, James Blake has so far so good popped 3 studio albums, six EPs, and well over 20 singles. He has also made guest appearances in the albums of iconic acts like Beyonce, Jay-Z, Frank Ocean, Travis Scott, Mount Kimbie and many others. James Blake’s first award was from Worldwide Winners for his work on CMYK which earned him the Single of The Year Award in 2010. The following year, July 19, 2011, James Blake was again nominated for the Mercury Music Prize for his first studio album, though he didn’t win that year, he took the 2013 award home with him for his 2nd studio album Overgrown. In 2014, he won theBest Contemporary Song award by Ivor Novello Awards for his Retrograde work. Currently, his song, King’s Dead has been nominated in two categories of the 61st Grammy Awards; Best Rap Song and Best Rap Performance. Since his entry into the music industry in his school days, James has risen to solidify his position as one of the leading R&B singers in the UK, no doubt, that the singer is one of the entertainers that have dug a pot of gold in the industry. His net worth is estimated to be $8 million. With his 4th album popping up and eventual tours of Northern American countries that sum is sure to increase. Read Also: Leona Lewis Age, Husband, Parents, Ethnicity, What Happened To Her? James as an R&B singer whose songs most times center on Love and affection should ordinarily have a woman to crush on or have a woman or women crushing on him, and yes he has. Before his current date, he was said to have been in a relationship with a Warpaint Band Guitarist, Theresa Wayman, though the relationship did not last long, they parted ways before he hooked up with Jameela Jamil. Jameela is his current heartthrob; she is a Los Angeles based British Television and Radio presenter, actress, model and comedy writer. Although all eyes are on them if they will take the relationship to another level, be sure to get the gist here if and when they make their intentions known. The musician has a slender body build with a great height of about 6 ft 5 inches (1.96 m) on standing while his weight is estimated to be 93 kilograms (205 lbs).